Chances are you’ve already seen one of these and multiple times, possibly clicked on one, or saw it and didn’t know that was the official name of the ad unit. Not a lot is known about Google’s Sponsored Units on search, and there’s not a lot to know right now, but here’s where we’re at today. First, let’s make sure we’re talking about the same thing. Google Express is a web destination or mobile app that displays product catalogs from enlisted merchants, both retailers and brands. Shopping Actions refers to the technology that processes the purchase and is used on the Google Express site, as well as Google Assistant-enabled devices like Google Home and third-party devices like smartphones. 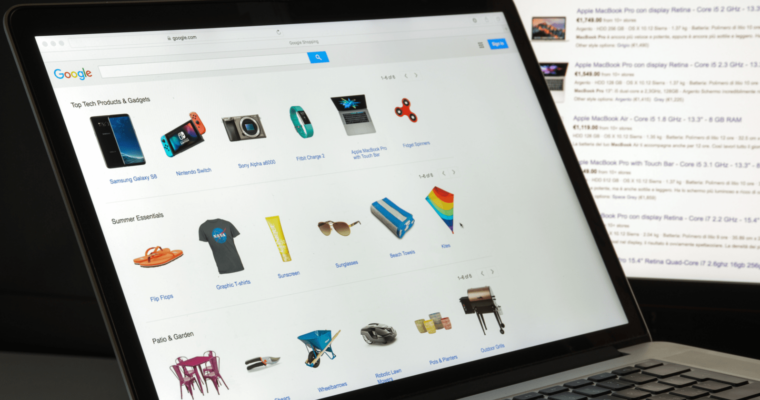 What we’re talking about today is the Sponsored Unit on Search that labels itself as “Google Express” and drives traffic to that experience and can appear on any device, in the Product Listing Ads (PLAs) results space. 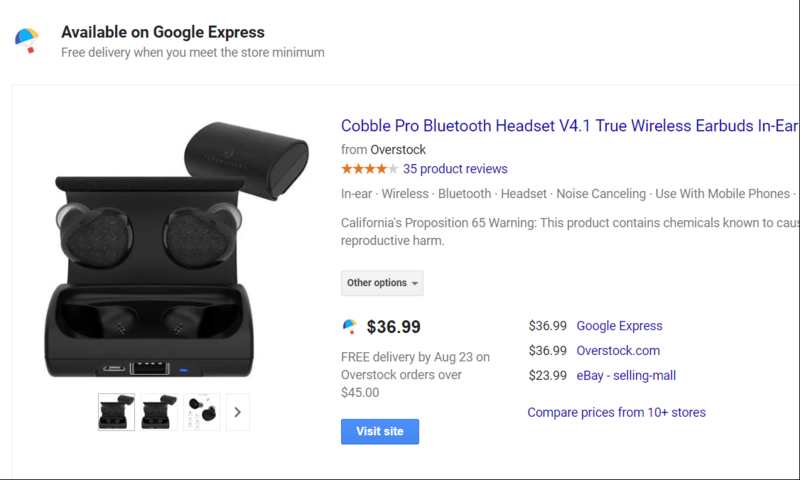 Sometimes they show with just a designation that says “Google Express” – with or without the little Express logo – with Google Express listed as the seller. Other times, you might see that same logo and designation, but with a specific seller name listed. 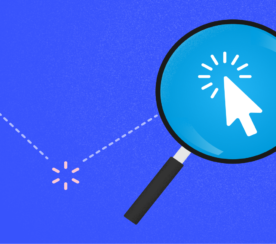 These particular ad types were seen mostly on .com Google searches, not searches or results within the Google Shopping experience with PLAs. But that’s been changing as well. One impression type that isn’t available at this time is if you were to use Shopping features like sorting by seller or compare from other stores, Google Express is not listed as an option – at least not that I’ve seen yet! This ad unit is intended to replace the Purchases on Google (POG) PLA enhancement from 2015, which is the same CPC-based model for Google Shopping. 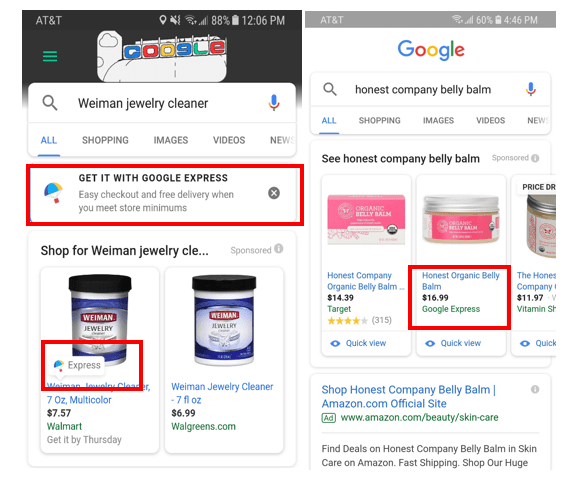 Instead, now a user who clicks on a Sponsored Unit is taken to an express.google.com product page and no cost is charged to Google or the seller. The POG program was officially sunset at the end of March 2018 with Sponsored Units showing up before that, in early 2018. So When Do They Appear? The Sponsored Unit drives traffic to the Google Express experience. Because it goes to a specific product page it has to be for one of the retailers submitting product catalogs to Google Express. Retailers on Express have no control over these Sponsored Units. They can’t dictate which products or categories, and there are no bids or campaigns. Relevancy to the user’s query. Retailer preferences (e.g., if you have a history of buying from retailers in the program or loyalty memberships). A lot of the emphasis has been placed on previous user behavior and preferences. I found one of the more interesting signals is if you have a cart on Google Express that is unfinished – you’re much more likely to see that retailer in future Sponsored Units (or be driven to) in your .com search results for other items. For example, I personally had added a few items to my basket on Google Express through Whole Foods and became distracted, didn’t finish the checkout, and I was under the free shipping threshold. Later, as I was searching for another grocery-type item, I was served a Sponsored Unit for that item via Whole Foods, that would allow me to add to the existing basket and hit that free shipping threshold. But let’s say I don’t have any history with the retailers and I’ve searched for a brand that multiple retailers carry. How does Google decide who gets the Sponsored Unit? 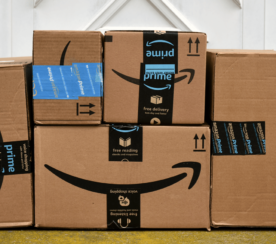 The Retailer Standards that the retailer has on the Express platform (which includes defect rates on items and shipping, item goals, and sales goals). Relevance to the user’s query. 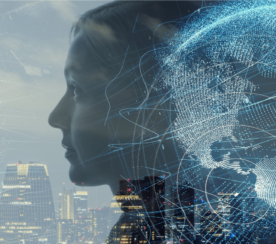 Some personalization signals, such as the mentioned unfinished cart, previous purchase history, linked account or memberships (e.g., Walmart, Costco) and user behavior. Google considers the programs to be complimentary. If managed accordingly, they can be. When a Sponsored Unit is eligible to show, that means that there is one less “spot” in the PLA SERP pack for possibly the same number of advertisers in the PLA auction. While a Sponsored Unit does not compete in the PLA auction, it’s totally separate, but it definitely takes up a spot. If there are lesser spots in the auction, conceivably, the CPC could be higher than if the Sponsored Unit was not there and assuming the same number of bidders in the auction. However, preliminary analysis that we’ve done at CommerceHub year to date is showing that not to be the case – and we did run this across multiple categories and accounts. It’s too early to definitively say what it does or doesn’t do with confidence, but we have not seen in aggregate rising CPCs as a definitive result of the introduction of Sponsored Units. If anything, the most common “competitor” we saw in multiple aggregated average CPC reports was Walmart – when it came to comparing cross-category and percentage of outranking share. Theoretically, the most affected would be those in the last one or two PLA spots and would have been the lowest bidders, less relevant, trying to capture some cheaper traffic. 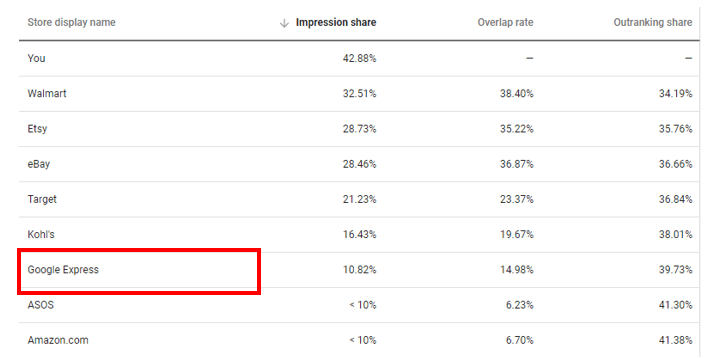 In the Auction Insights Reports, Google Express has been showing up with a small percentage of impression share (that we’ve seen at CommerceHub) and has been growing slowly all year. And yes, that does mean that Express is taking up impressions, but not necessarily clicks or driving up cost. This isn’t for every category – some categories are seeing more impact than others. For example, electronics, sports and outdoor, home goods, health & beauty or consumables are more likely to encounter Google Express as a “competitor” for impressions. Sponsored Units aren’t going away, so if you haven’t, start keeping an eye on impression share more than anything else. General site metrics (like page load time or conversion path). Or be more deliberate in your lower end bids strategy. Take this as an indicator of Google’s seriousness of their investment into the Express marketplace. They’re driving search traffic to the platform right from SERPs and not to the Google Shopping experience or your website. If you’d like to know more about Shopping Actions, check out my Slideshare deck on the program or check out the Google Shopping Actions Help Center link.